We are currently looking for Importers, Wholesalers, Commissioned Agents and Distributors in different countries to introduce Rose Brand Rose Syrup to many different countries in the world. 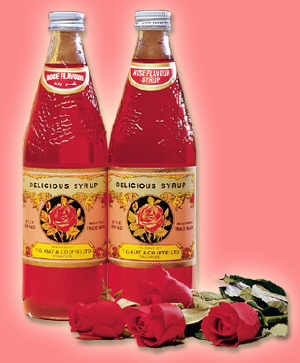 Consumers - please feel free to contact us for any matters pertaining to Rose Brand Rose Syrup. This website is best viewed in the 800 X 600 screen settings.